This scene shows several houses, in a setting of pine trees. The houses are mostly obscured by tree, and flowering plants. In the foreground, the closest house is surrounded by a white, low stone wall that is topped with a decorative wrought iron fence. 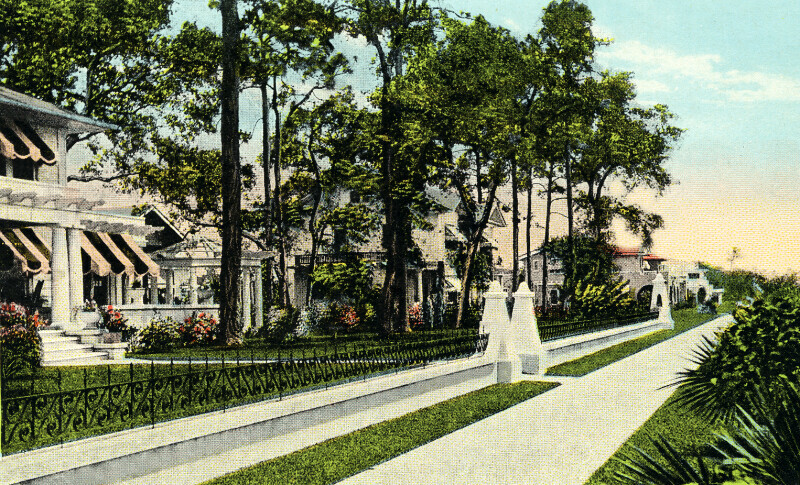 A long, straight sidewalk passes by the houses.